Shamanic nature totems and birds feature prominently in my artwork and are often depicted as heavenly messengers throughout the deck. In Native American culture, the gifting of ‘friendship’ feathers is part of an ancient tradition symbolizing love, respect and gratitude to the receiver. Taking inspiration from this beautiful ritual, these jewel-like feathers are designed to be gifted as tokens of friendship which could also be sent with a greetings card. Each piece is delicately hand-painted in metallic hues of silver, lilac, rose and gold, finished with a metal butterfly embellishment made from recycled tin and then mounted on an illustrated gift card. 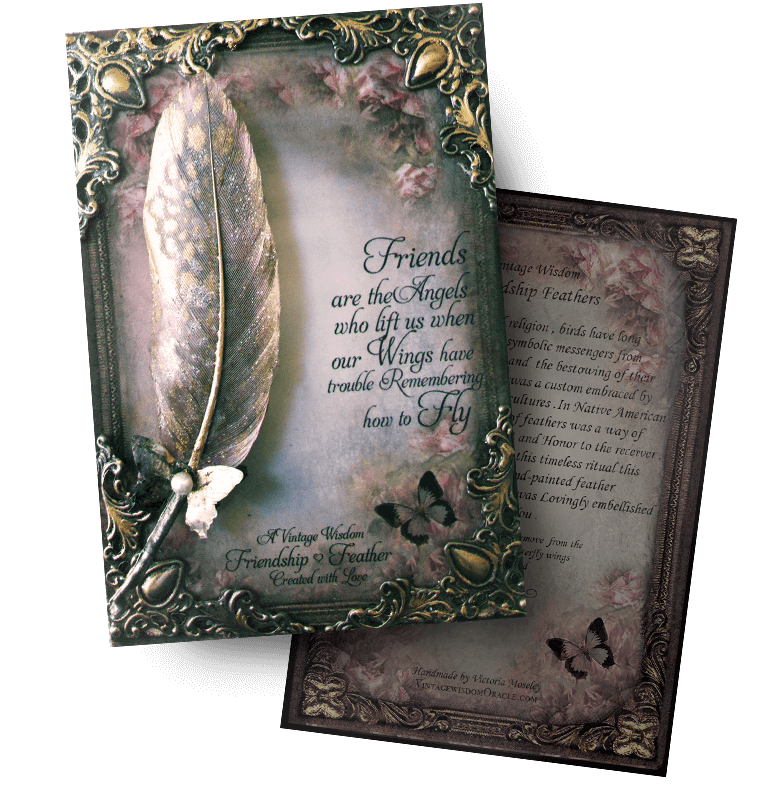 On the reverse side is a brief history story about friendship feathers and their meaning. All feathers used are ethically sourced and vary slightly in shape and color. Sizes range between 7/9cm.